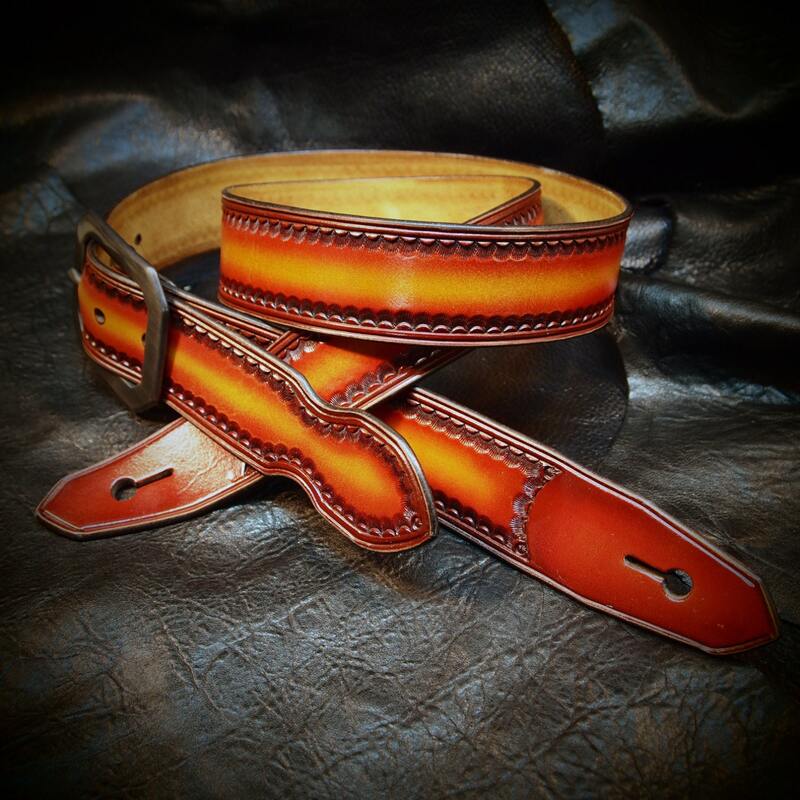 This red leather Guitar Strap is completely handmade using 8/9 oz. 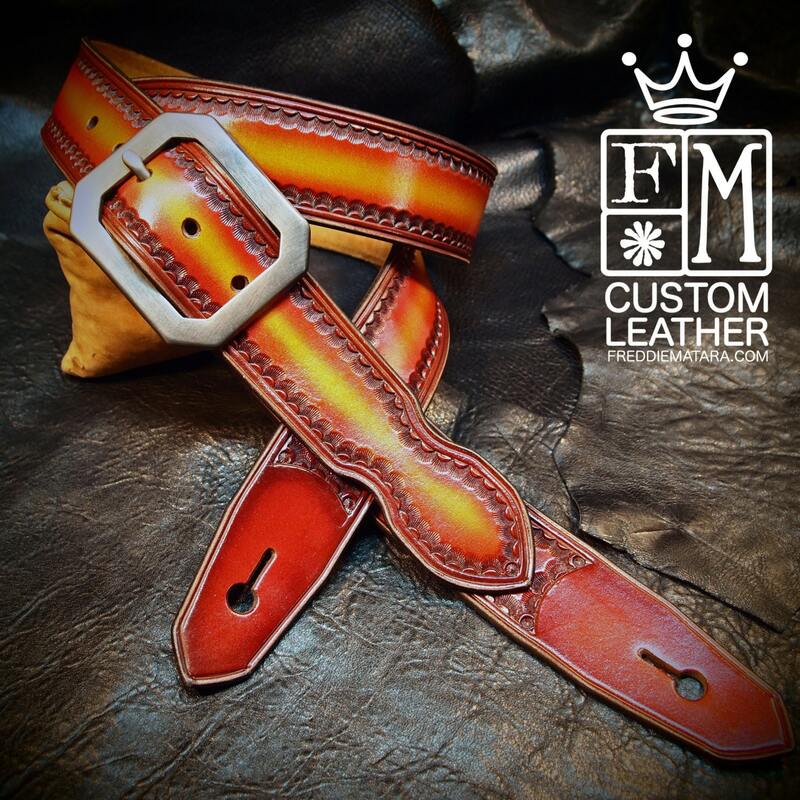 Grade "A" Vegetable tanned leather. It is hand dyed using an airbrush in a rich cherry sunburst. 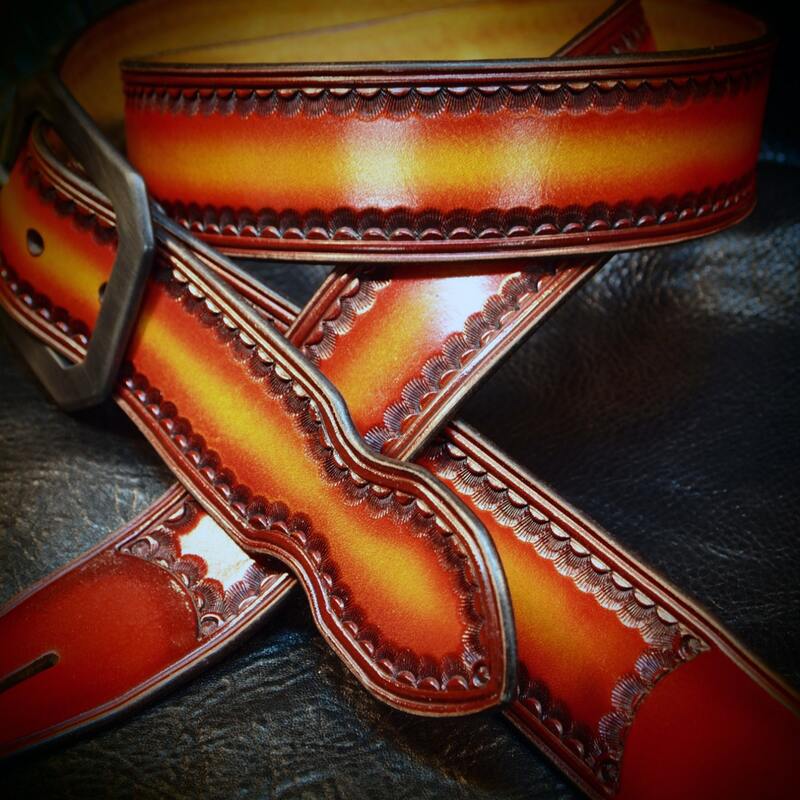 The body is hand-tooled using a unique custom border and it is then aged and waxed using traditional American Old West techniques. At 1-3/4" wide, it's a great width that won't get in the way of throwing down on your axe! 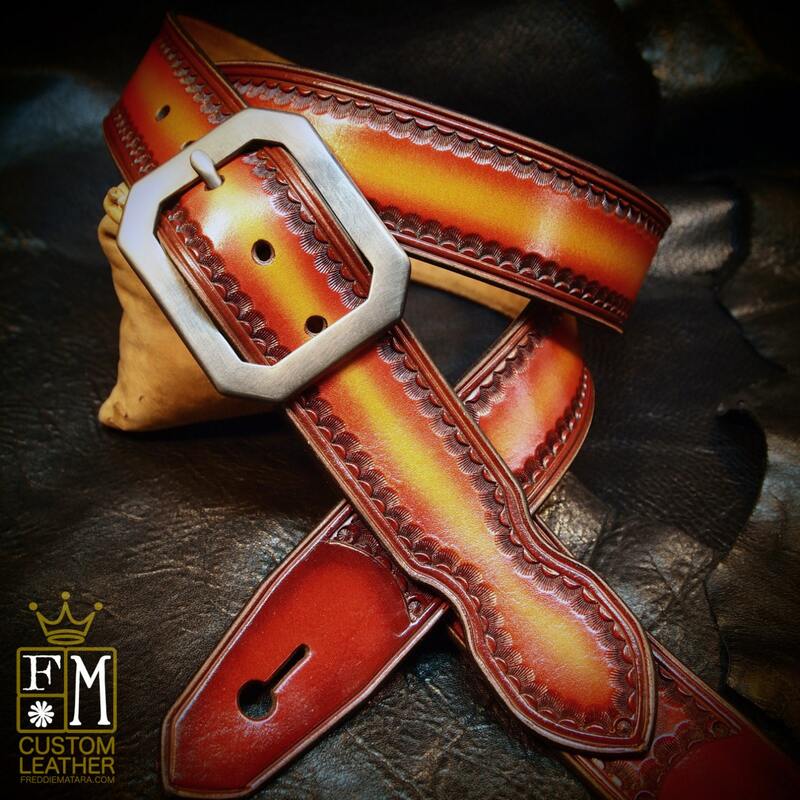 A beautiful hand aged nickel buckle provides adjustment. Made for guitarists by a guitarist!